BIKE THE COTSWOLDS AND MORE…. Our new Bike The Cotswolds and More Bike tour takes you through the beautiful English countryside and explores a host of iconic places. From London to Windsor, Oxford, Churchill’s Blenheim Palace, Shakespeare’s Stratford and the Cotswolds. See the REAL England in all its glory. Meet and Greet in Oxford, which is about 1 hour outside of London (trains go directly from London Paddington to Oxford Station). We will fit you with your bikes, give you maps, GPS and written instructions and give you a safety briefing. Ride out of Oxford and stop for lunch in Woodstock, home of Winston Churchill and then head into the Cotswolds. The day ends at the beautiful market town of Moreton in Marsh. With beautiful ride through the North Cotswolds, through Chipping Campden, and the amazing American inspired Hidcote Gardens you will arrive in Stratford-Upon-Avon in the early afternoon. 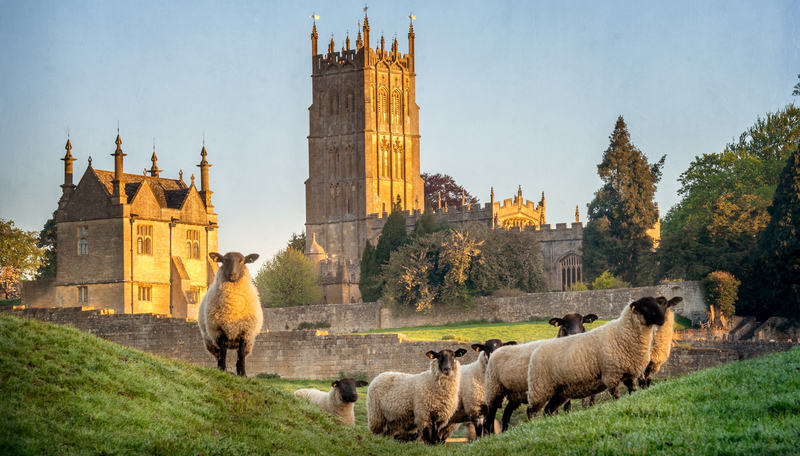 A day dedicated to the Cotswolds, a renowned rural area of south central England covering parts of 6 counties, notably Gloucestershire and Oxfordshire. It’s rolling hills and grassland harbour thatched medieval villages, churches and stately homes built of distinctive local yellow limestone. The 102-mile Cotswold Way walking trail follows the Cotswold Edge escarpment from Bath in the south to Chipping Campden in the north. Blenheim Palace, the World heritage site, is arguably England’s greatest Palace. The birthplace of Sir Winston Churchill, Blenheim has an illustrious history, stunning architecture and beautiful gardens, landscaped by Capability Brown. Your route travels through the stunning Cotswolds right into the Palace and its magnificent grounds. hill figures. It’s a 3,000-year-old pictogram the size of a football field and visible from 20 miles away. Encompassing Neolithic history, this is a bike ride that will leave the 21st century behind for a few hours as you uncover the fascinating history of this ancient landscape. Guests stay in the best 4* hotels in the Cotswolds region, with unbeatable settings, wonderful accommodation and wonderful food – just see Trip Advisor for The Manor House Hotel. Further options are available for those who want to stay in a country cottage location or in a selection of hand-picked bed and breakfasts or pubs. Our self-guided tours are designed to be as flexible as possible, with daily options on the length of ride you would like. The roads are generally very quiet and our drivers really respectful. All guests will be given a full safety briefing, GPS / Garmin, written instructions and a detailed map and guests choose which method of route planning they require. Panniers are also available. Should there be a major equipment issue we are on hand (normally within the hour) to get you back on the road as soon as possible. All luggage is transferred between hotels. CONTACT US TO BOOK: tours@cyclewest.com or tel + 353 91 877323 for more information.